Jara Zerull is a Coordinating Video Editor at ESPN. Jara Zerull joined ESPN in 2003 after graduating from Lyndon State College. In her 14 years with ESPN she has traveled to Indianapolis to edit for the Indy 500 and was instrumental in training the staff for the 2011 launch of the Longhorn Network in Austin Texas. Jara’s daily editing responsibilities include shows such as Outside The Line, College Football Live, NFL Live, The Jump and SportsCenter. 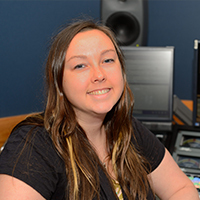 In addition to editing for all ESPN platforms, Jara is an Associate Coach to the Production Operations Associate Program and a member of POWR (Production Operations Women’s Resource).